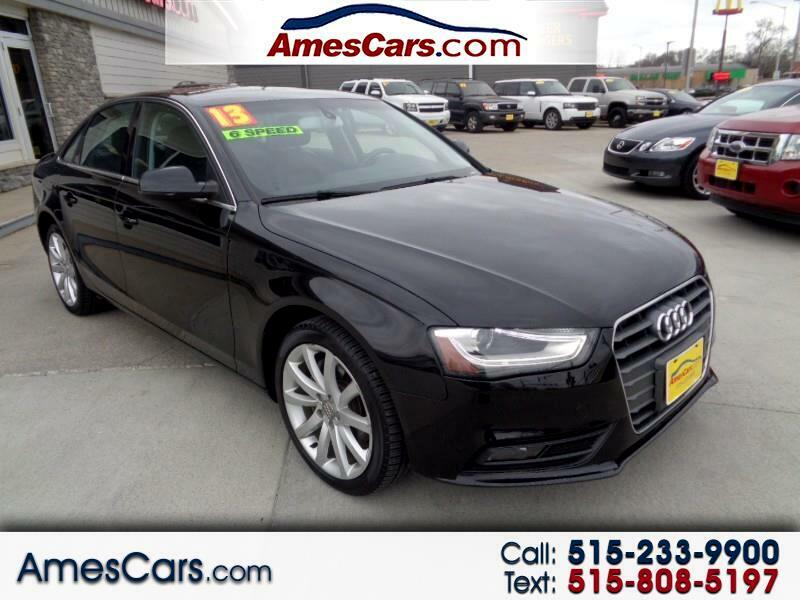 ****NEW ARRIVAL**** 2013 AUDI A4 QUATTRO, 2.0 TURBO 4 CYL, ALL WHEEL DRIVE, RARE 6-SPEED MANUAL, ALLOY WHEELS, NEWER TIRES, ALLOY WHEELS, LEATHER INTERIOR, DUAL POWER SEATS, HEATED FRONT SEATS, NAVIGATION, STEERING WHEEL CONTROLS, POWER MOONROOF, RUNS AND DRIVES GREAT!!! FUN CAR TO DRIVE!!! PLEASE CALL FOR MORE INFO OR TO SCHEDULE A TEST DRIVE TODAY!! !